Discover three themes for your winter meeting in Chicago. With its soft snow, sparkling lights, countless holiday activities and culinary innovations, Chicago is great inspiration for planning a festive winter meeting. Here are three different ways to enchant, entertain and feed your attendees this season. In the winter, ice skating rinks open across the city and parts of the vast Lake Michigan transform into thin, crystalized sheets of gloss that reflect the bright winter sun. Get inspired by the sights and spirit to create a very cool meeting. Falling temperatures can mean falling snow, and Chicago is no stranger to the occasional dusting or beautiful blanket of white. Use this to your advantage and plan an event theme around the city&apos;s natural winter beauty. 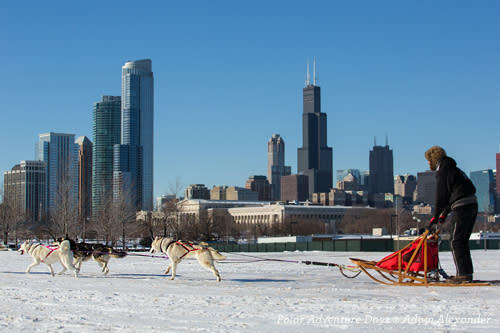 Attendee activities: Let attendees walk among falling "snow" indoors at the Museum of Science and Industry&apos;s Christmas Around the World and Holidays of Light; suggest a free visit to Tony Tasset&apos;s Snow Sculpture; head outdoors—even non-athletic types can snowshoe on Northerly Island. One thing Chicagoans and visitors always look forward to each winter season is how the city lights up around the holidays. While every night brings a shimmering downtown landscape year-round, it&apos;s the winter that adds even more magic — especially on Michigan Avenue, where thousands of lights drape across the stretch.